September 2013 of the British Magazine, Classic and Sports Car. 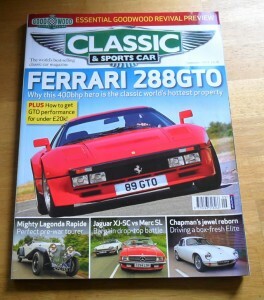 The cover feature of this issue is the Ferrari 288GTO. 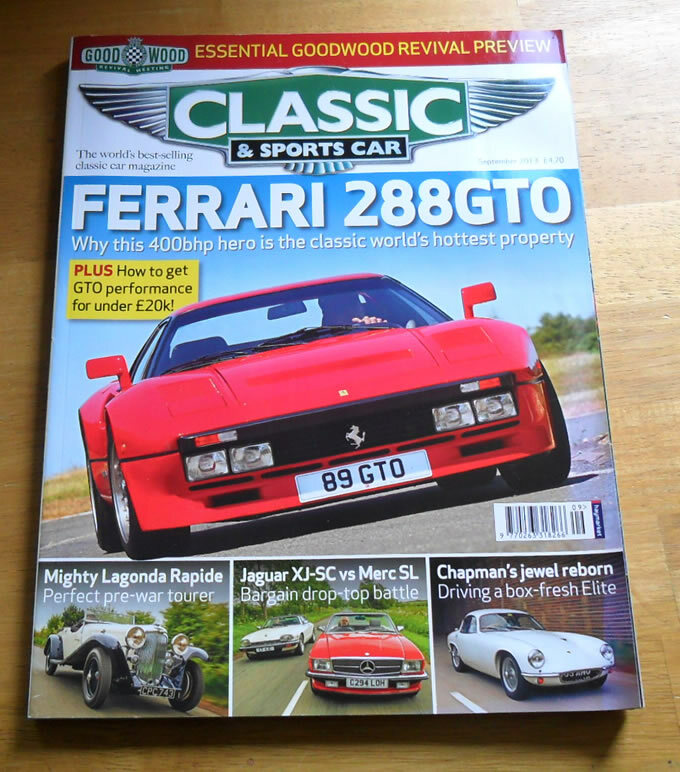 Other articles include items on the Lotus Elite, Jaguar XJ-SC, Mercedes SL, Lagonda Rapide, Lancia Delta, Fiat 600, Maserati, A6G/2000 and many more.